Matthew Sanford's inspirational story about the car accident that left him paralyzed from the chest down is a superbly written memoir of healing and journey—from near death to triumphant life. Matt Sanford's life and body were irrevocably changed at age 13 on a snowy Iowa road. On that day, his family's car skidded off an overpass, killing Matt's father and sister and left him paralyzed from the chest down, confining him to a wheelchair. His mother and brother escaped from the accident unharmed but were left to pick up the pieces of their decimated family. This pivotal event set Matt off on a lifelong journey, from his intensive care experiences at the Mayo Clinic to becoming a paralyzed yoga teacher and founder of a non-profit organization. Forced to explore what it truly means to live in a body, he emerges with an entirely new view of being a "whole" person. Waking is a chronicle of that process. By turns agonizingly personal, philosophical, and heartbreakingly honest, this groundbreaking memoir takes the reader inside the body, heart, and mind of a boy whose world has been shattered. The author allows us to follow with him as he rebuilds from the ground up, searching for "healing stories" to help him reconnect his mind and his body. To do so, he must reject much of what traditional medicine tells him and instead turn to yoga as a centerpiece of his daily practice. The author finds not only a better life, but meaning and purpose in the mysterious distance that we all experience between mind and body. 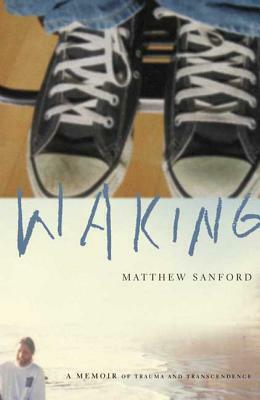 In searing candid, frequently poetic language, Sanford pulls back the curtain on what it means to survive devastating trauma, from returning to a broken life to the uncertainty of finding sexual intimacy with a paralyzed body. But first and foremost the author offers a powerful message about the endurance of the human spirit, and the body that houses it. MATTHEW W. SANFORD is the founder of the non-profit organization Mind Body Solutions and specializes in adapting yoga to people living with disabilities. He currently resides in Orono, Minnesota.